The girlfriend read some interesting cookbook while browsing at books at Times. 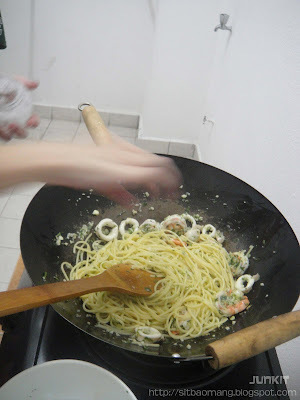 She was particularly interested in the Aglio Olio and actually wanted to try to cook! Eaten traditionally by the Romanians, this simple dish of garlic and olive oil with pasta is heart warming and hits just the spot for a good satisfying meal. So willingly volunteer to be her 'white mouse' as she's a very very good cook. She interpreted the dish by adding prawns and squids and changing the pasta type to spaghetti. Cooking cooking. =( She never lets me see or know the process of cooking. She says she couldn't cook while I'm in the kitchen. Stealthily took this picture lol. The finished dish. Paired with a nice dish plate, it does make it look pleasant and appetizing. I always believe visual and decoration plays an important role to in dining. With fresh ingredients incorporated, the pasta gives out a very nice garlic and olive oil aroma. The spaghetti was just nicely al dente (to the tooth)! The prawns and squids was fresh and sweet. 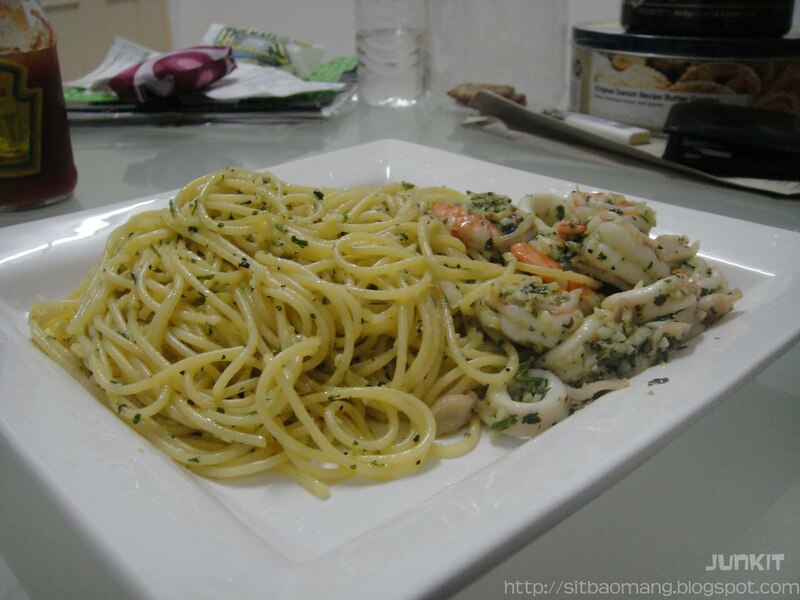 Combined, what I get was a very delicious and heart warming yet simple pasta dish that I couldn't stop eating. Yum 10/10 score from me (not being bias!). Now, if only I have a glass of Jacob's Creek Classic Shiraz Cabernet to go with this. Perfect! 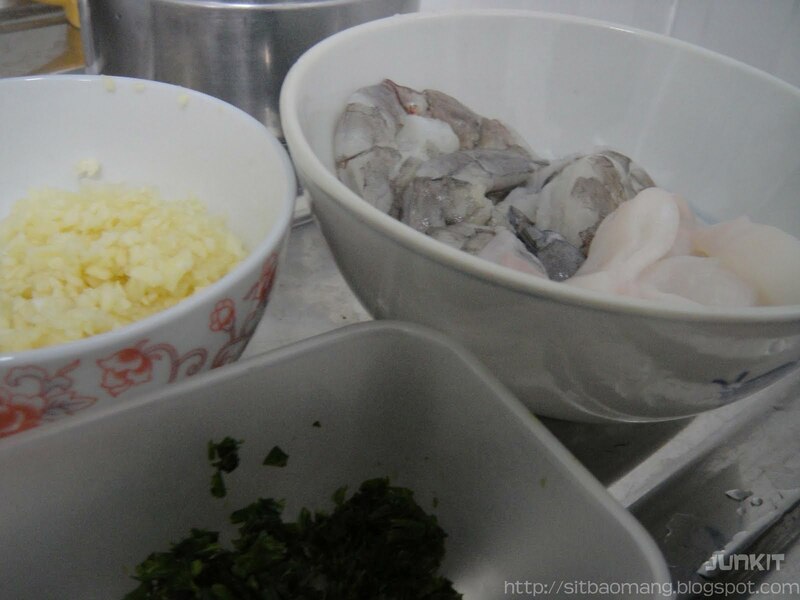 Other optional ingredients - Seafood/Poultry/etc.